NASSSA has been announced as the Australia-wide winner of the School Pathways to VET Awards in the Australian Training Awards, 2016. NASSSA entered one of the seven award categories available by entering directly. 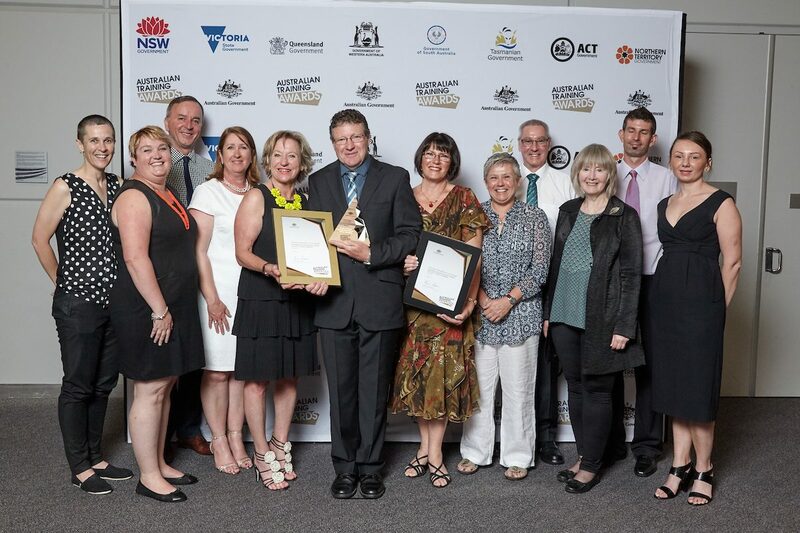 Through showcasing best practice the Awards' NASSSA demonstrated continuous improvement and innovation in the design and delivery of VET which has led to national and international awareness and respect for Australia's VET sector and skilled-based careers. The Awards are held annually in November in a different state or territory. 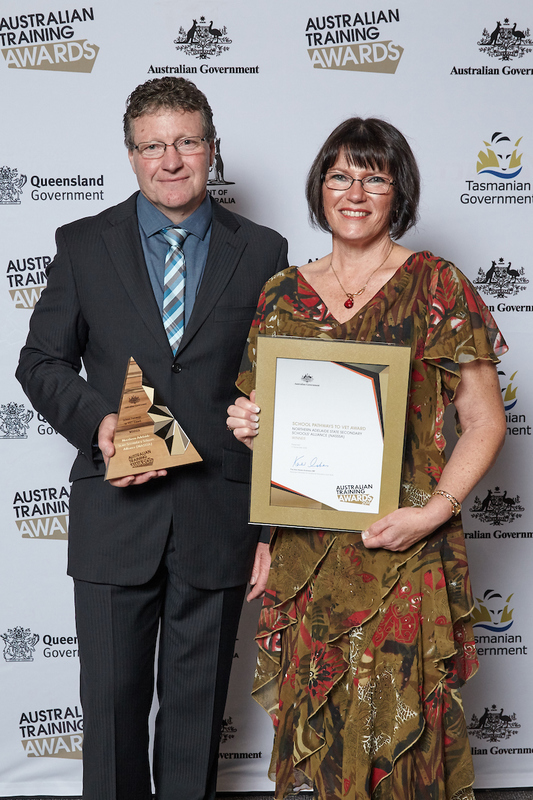 The 2016 Australian Training Awards were held in Darwin, Northern Territory on Thursday 17 November. An Evaluator spent a full day visiting various training sites and receiving evidence to validate the application. Following this, the 2016/17 NASSSA Chair, Mr Peter McKay.and NASSSA Senior Leader Student Pathways, Mrs Heather Bitter, were interviewed in Darwin presenting to the judging panel and responding to questions. The announcement of NASSSA's success at the Awards ceremony was a momentous occasion and truly demonstrates the quality and strength of this Secondary DECD Alliance, in delivering "Quality Education, Quality Futures" to students in the northern suburbs of Adelaide.